The file photo shows the office of Clearstream in Kirchberg, Luxembourg, which facilitates international exchanges of securities. The Central Bank of Iran (CBI) is reportedly suing a subsidiary of German stock-exchange operator Deutsche Borse for holding $4.9 billion of Iranian assets. 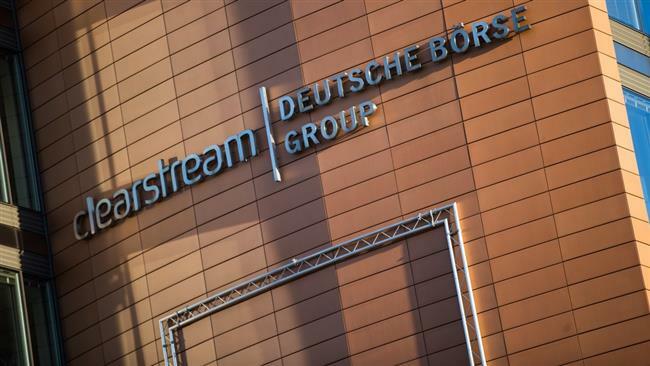 Deutsche Borse said Friday the CBI had filed a complaint against Clearstream at a court in Luxembourg where the post-trade services provider is based. Deutsche Borse said Iran’s central bank wants Clearstream and Italian bank Banca UBAE SpA to return its assets plus interest in addition to damages worth the same amount. The assets sought reportedly include about $1.9 billion which Clearstream has turned over to the US to “compensate” around 1,000 Americans claiming damage from Iran over a 1983 bombing in Beirut and another attack in 1996 in Saudi Arabia. The CBI further seeks around $2 billion in customer assets which are held at Clearstream and are subject to similar appropriation in the US and Luxembourg. The US Supreme Court ruled in April 2016 that about $2 billion in frozen Iranian assets must be turned over to American families of people killed in the 1983 bombing of a US Marine Corps barracks in the Lebanese capital and other attacks which Iran has long rejected any role in. After the US court ruling, President Hassan Rouhani said Iran had filed a lawsuit against the United States at the International Court of Justice (ICJ) demanding compensation over the seizures. Iran’s Foreign Minister Mohammad Javad Zarif has described the seizure of Iran’s frozen assets as “highway robbery,” saying the Islamic Republic will retrieve them anyway. “It is a theft. Huge theft. It is highway robbery. And believe you me, we will get it back,” he has said. Iranian officials have also lashed out at the US justice, saying it was the same system which in March 2016 held Iran liable for damages in the 9/11 terror attacks, ordering Tehran to pay $11 billion in compensation to the families of the attack victims. “These cases cannot stand in any serious civilized court of law. When a US court condemns Iran for 9/11, it finishes the credibility of the US justice system when it comes to Iran,” Zarif has said. State officials and international observers have said the US is setting a bad precedent with such rulings since people can legislate in other countries to confiscate American assets. They have cited US crimes committed against Iranians, Vietnamese, the people of Afghanistan, Iraq and many others. “Can they legislate in their own countries that for every collateral damage suffered because of American bombing, for every person who was tortured by the Savak, which was created by the United States, those people can claim money from the United States and go confiscate it? Would you be willing to accept it?” Zarif said. Savak was the intelligence service of the deposed Shah’s regime in Iran, which was a close ally of the United States.